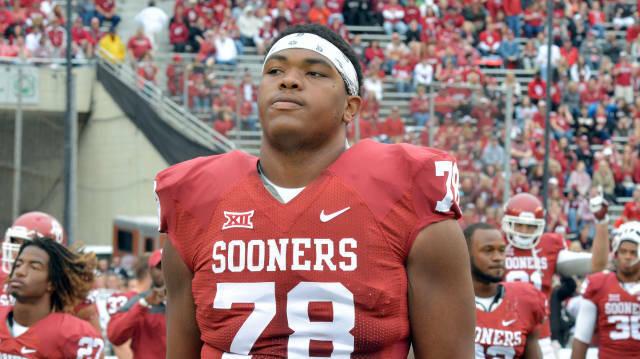 Oklahoma redshirt freshman left tackle Orlando Brown has made significant improvement throughout his first season of college action, but over the past few games, he's shown he still has some growing up to do. Brown has been called for a personal foul penalty in each of OU's past two games, and last weekend against TCU, Brown was flagged three times. “I have to play with more discipline and have more control over myself and just the way I handle situations,” Brown said after practice this week.